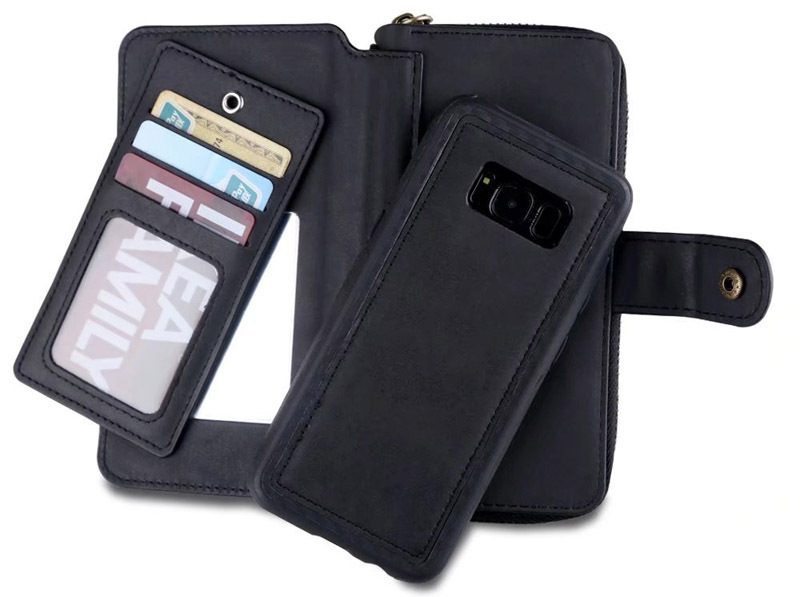 Free Shipping, Buy BRG Samsung Galaxy S8+ Magnetic Detachable 2 in 1 Multi-functional Zipper Wallet Case at Casemecase.com. 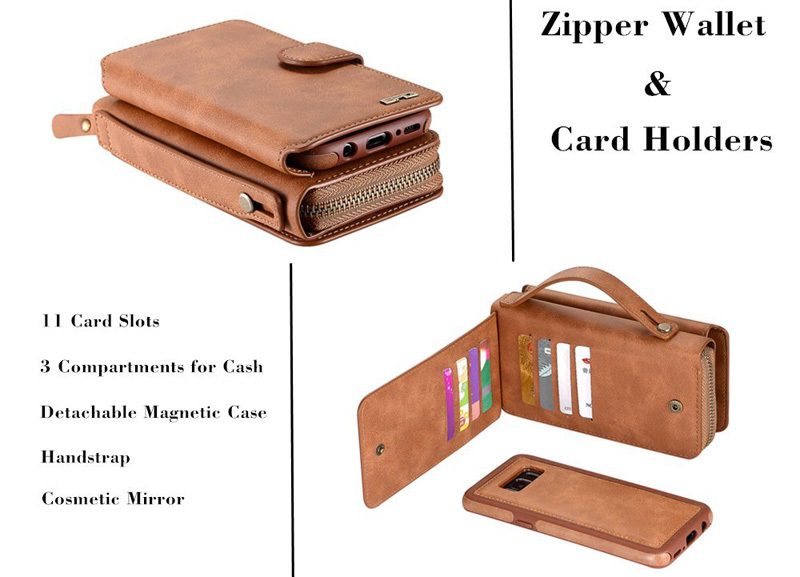 11 Card Slots + 1 Zipper Wallet. 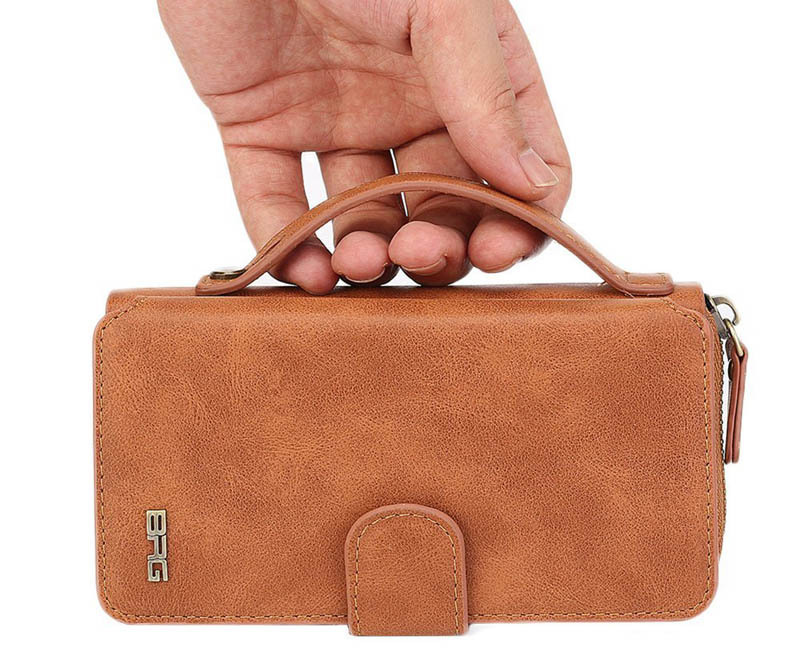 This is not a wallet for a person who carries large amounts of cash and more than 6 or 7 credit/gift cards. Love my new phone case. I purchased a similar one from another vendor last year and it lasted about 6 months before the strap broke. When I went looking for a new case – this was the one I kept coming back to. It has great space for cards and a change holder! I love the magnetic case for my phone so I can slip the phone into my pocket if I don’t need my whole wallet. I love that it has a handle to carry it with and love the color (I do wish it came in grey as well). 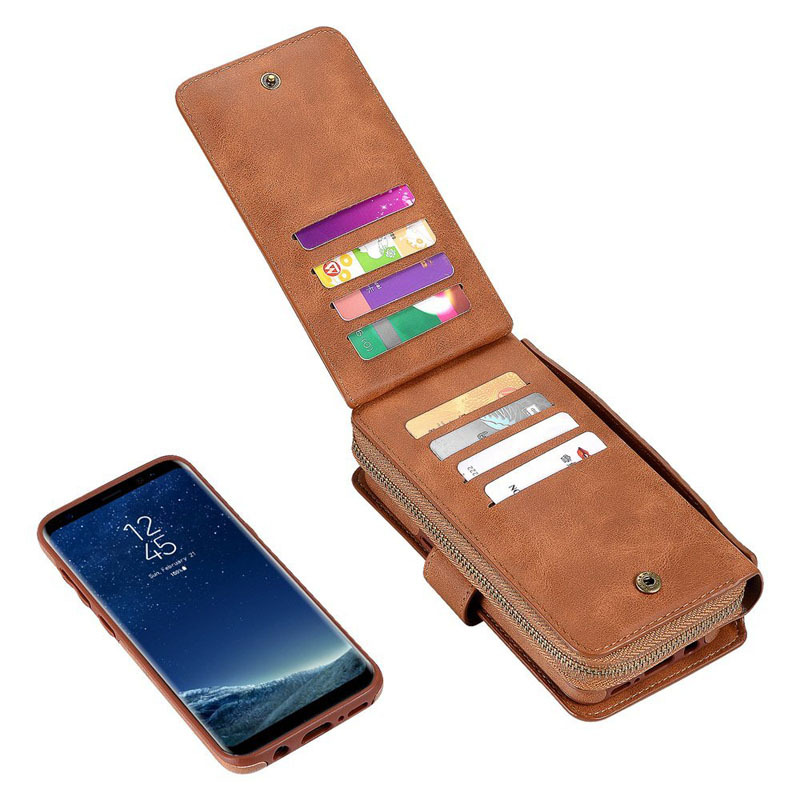 Having just used this for the last two weeks, I can safely say that the combination of wallet with phone protection was perfect. 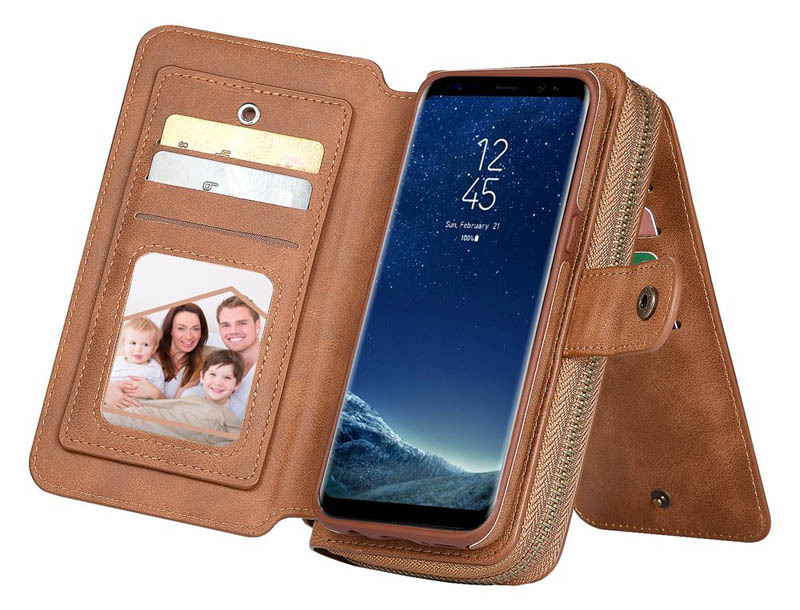 The fact that you can take the phone ‘out’ of the wallet section makes this case great when you are at home or the office and just want the phone free of clutter. The magnets by the way mean that I canals use it with my magnetic. Phone holder in the car – the ticks all the boxes! 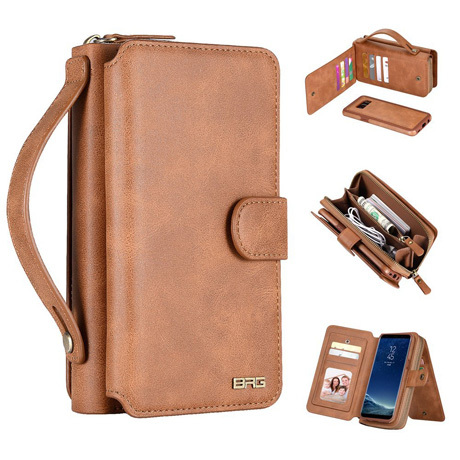 Love the case, great to put your cash in the zipper part of the case. I really like this case. The phone fits perfectly in the detachable cover. I like that there are slots for my driver’s license and credit cards, but that it also has the zipper pouch with multiple pockets to keep cash and other small items in. I am able to fit a lipstick and mirror in the zippered section. This will be perfect if I am going out and only want to carry the essentials. Fits well. Delivery really good too. Real good price. Fits well. Love it, love it, love it. Love all the credit card slots. Great magnet to hold the phone/case securely in place. 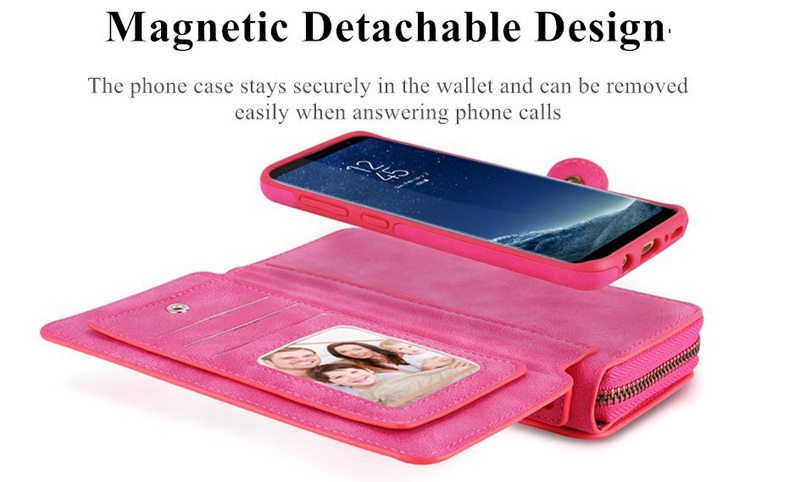 Removable phone case is ideal for protection of the phone and ease of talking on the phone. 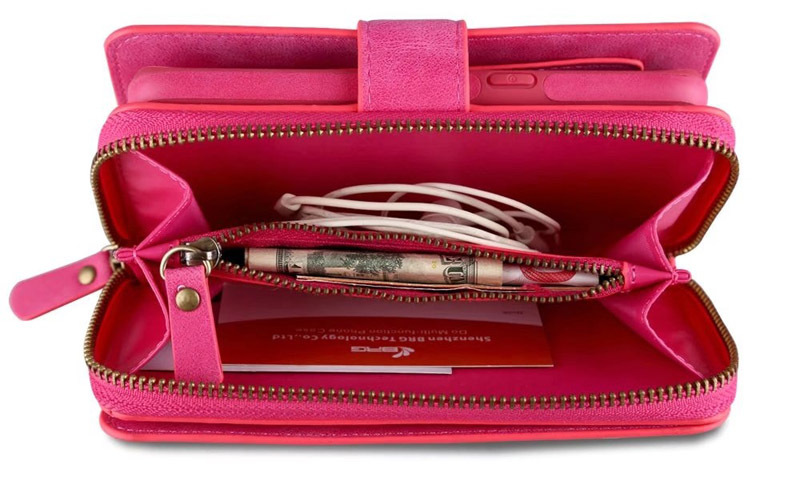 The zippered change purse is handy for carrying cash. Cant say enough. Best case Ive ever purchased. Awesome – was everything I expected. Especially liked the magnet for phone. 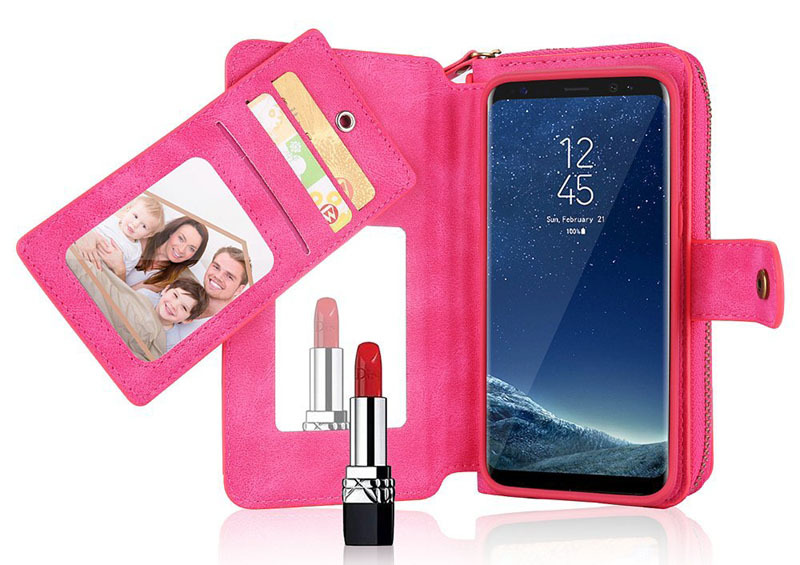 Got this case for my daughter’s Samsung Galaxy S8 Plus and it’s a plus! 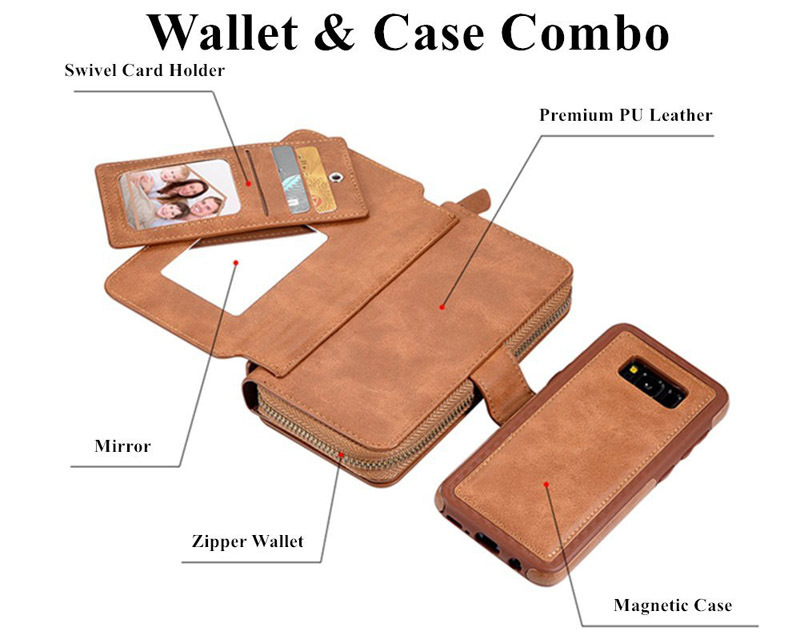 Its a 2 piece case/wallet = Nice wallet and a nice case. The magnets work just fine to hold the phone/case in the wallet with no problem.